Remember Instant cameras? Look in your parent or grandparent's closet. Go to a garage sale or a flea market. What might you find? A Polaroid OneStep. 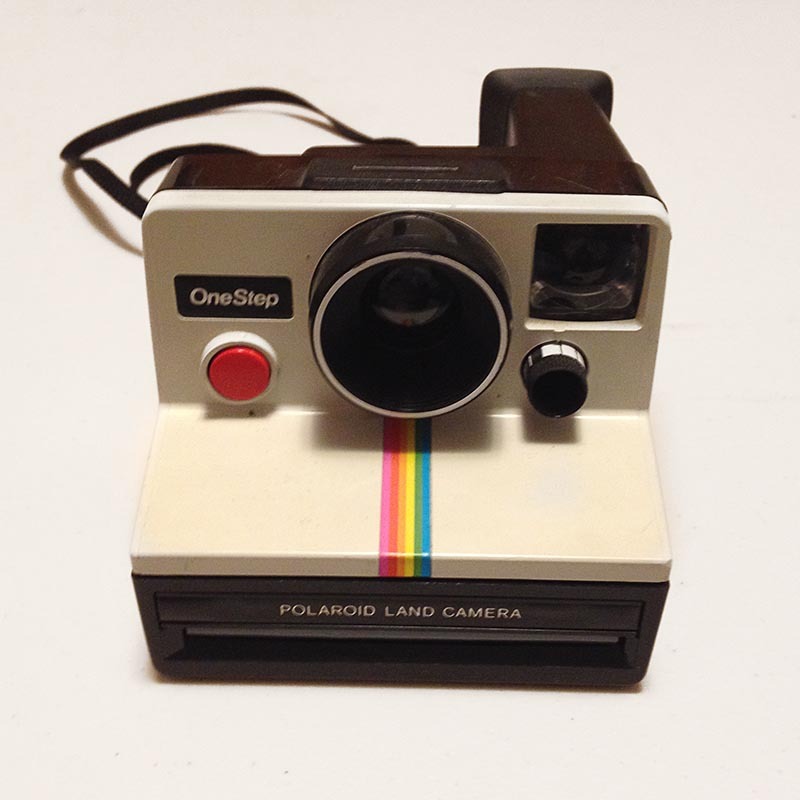 This was one of the classic instant film cameras by Polaroid. The one with the rainbow marking. This was an EXTREMELY simple camera. Literally, point & shoot. The only thing you could control was the exposure dial under the viewfinder. And, honestly, that was trial & error. Believe it or not, these beauties are very hot right now. Very hipsterish. I mean come on, look at the Instagram app icon. Look familiar? I thought you'd see the resemblance. Obviously they aren't made any longer since Polaroid (as we all knew it) is defunct. However, you can find these on EBay or similar sites, or in the afore mentioned flea markets or garage sales. The price will vary depending upon if the seller knows what they have. If you get one just check to make sure the rollers in the front (where the film goes) are clean and roll smoothly. If not, its a fairly easy DIY cleaning job. You can buy the film today. However, if you buy original Polaroid film online it will be expired, and expensive. Unlike 35mm or similar expired film, Polaroid instant film doesn't hold up well unless properly refrigerated and even then you are rolling the dice. That's because the chemicals in each photo chemical pack breaks down or dries up. Secondly, the camera has no battery to eject the film. Each film pack contains a small battery. Without a working battery the film won't eject properly. If it doesn't eject the chemicals won't spread across the film or the photo won't come out at all. The batteries don't hold up well over time. Money down the drain. The second option is a new company called The Impossible Project. All Polaroid enthusiast have heard of the Impossible Project. They essentially recreated the chemistry from scratch. And you know what. They've come a LONG way. Today's film gets really good results and is reliable. The only drawback, the cost. Not cheap. Expect to pay at least $25 per pack of 8 photos. If you are new to the film and your camera, expect to burn through a pack to figure out how the film best works and the way your camera operates. I digress, back to the OneStep. As I mentioned this was a classic Polaroid point & shoot. It takes SX-70 type film. I bought mine at my local Goodwill Outlet last year for less than $1. It's insides were clean and all it needed was a good cleaning outside. I popped in a pack of film and fired away. Super fun. Here is a photo I took a couple of days ago. It was the last photo in the pack, and the camera had been sitting on my camera shelf for about 6 months with the one photo left. 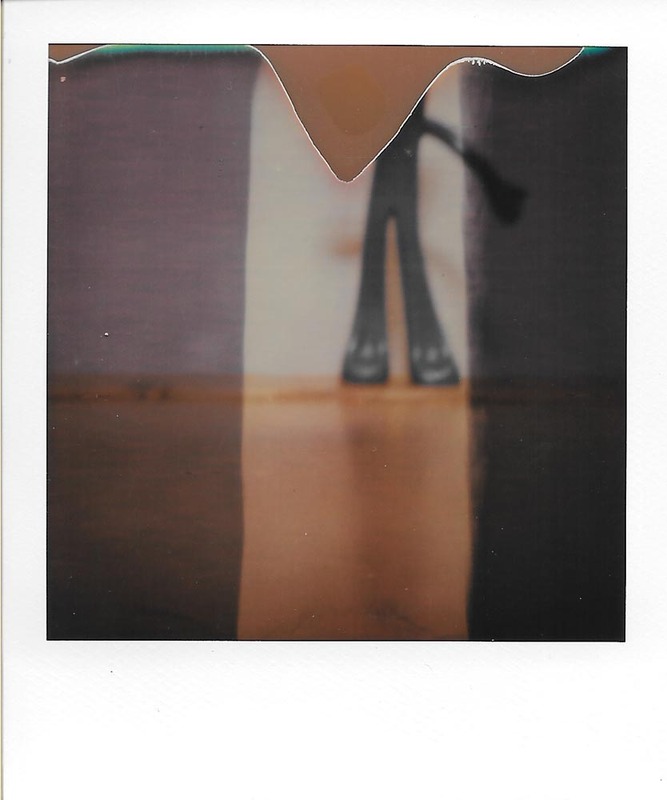 This was a pack of the earlier Impossible Project film, so the quality was hit and miss. You can see that this image of a Gumby toy was jacked. But, you know what. It is still cool. So go out and get yourself a Polaroid and some film. You can thank me later.